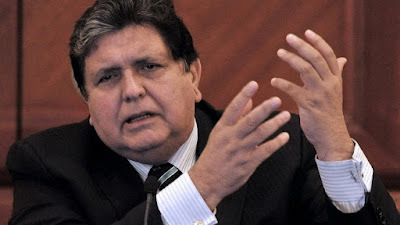 Peru's former President Alan García has shot himself as police came to arrest him. Casimiro Ulloa hospital in the capital, Lima, said he was in surgery where he was being treated for "a bullet wound to his head". Minutes later, a shot rang out, Mr Morán said. Police forced the door open and found Mr Garcia sitting on a chair with a bullet wound to his head.